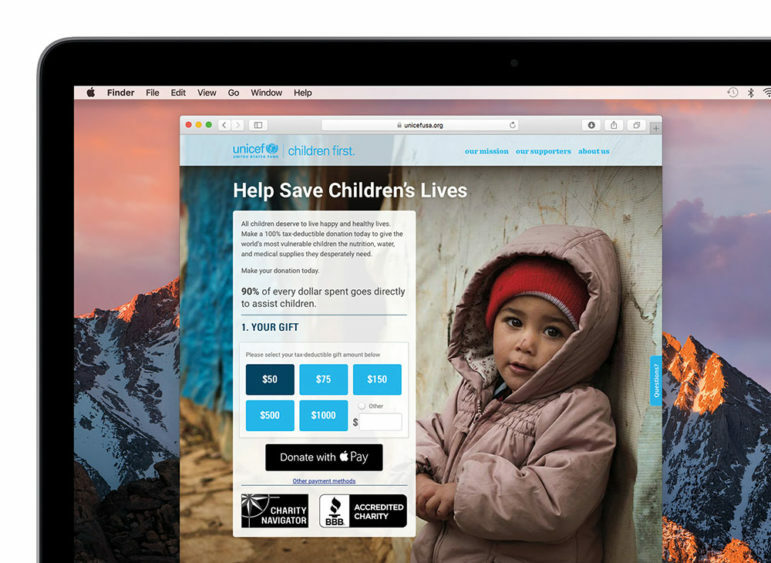 Users of Apple’s iPhone and Mac platforms will soon be able to donate to nonprofit organizations with a touch. Apple has extended its Apple Pay online transaction system to include instant donations, which lets online donors give to select charities directly without needing to go to a separate web form in Safari or needing to reenter their billing or payment information. Apple had formerly prohibited iOS apps from collecting funds for charities and fundraisers via Apple Pay. Apple is rolling out this new mobile giving convenience just before the holiday season so approved nonprofits can benefit from this new technology to enhance their ability to fundraise during this traditional period of increased charitable giving. This is a new bellwether for the organization, which some consider to be accountability resistant at a corporate level.